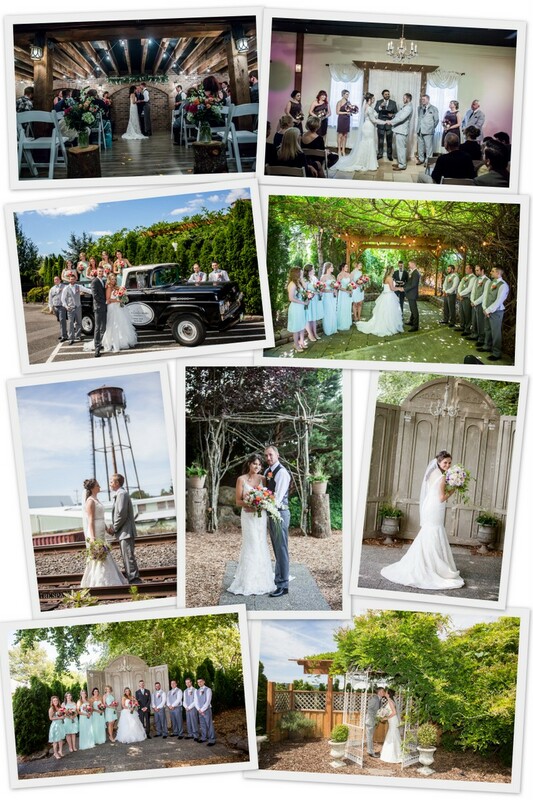 Have your wedding, ceremony, reception, reunion, anniversary party or business meeting at the beautiful Troutdale House by the Sandy River. Enjoy the cozy and rustic charm of this historic property surrounded by the spectacular Sandy River and Depot Park. 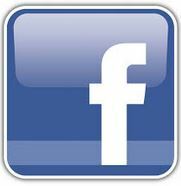 We are located in Troutdale, just twenty minutes from downtown Portland. 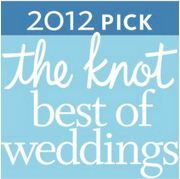 Be one of the happiest brides to get married at a place that your friends and family will enjoy and remember forever! Welcome to The Troutdale House by the Sandy River! Please scroll down for prices, photos and videos. 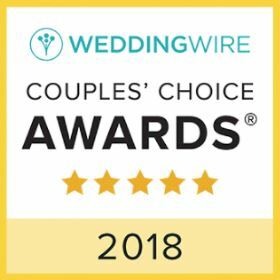 We have some exciting news to share!! 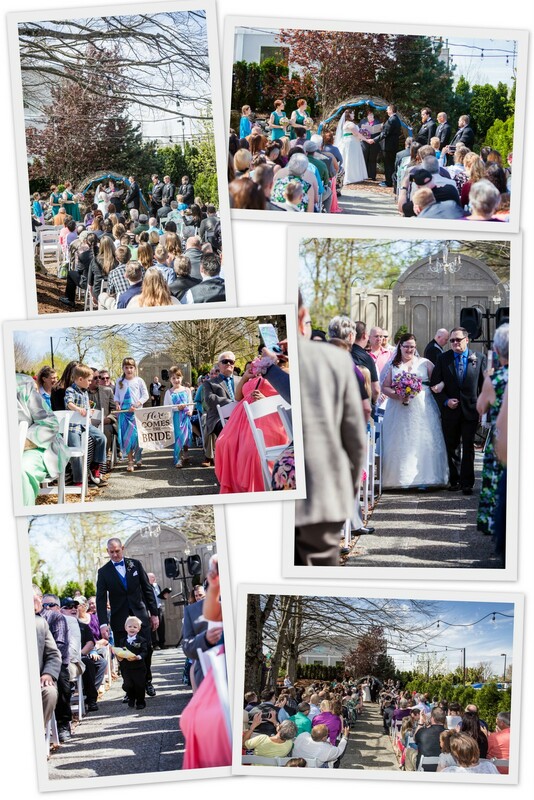 We are partnering with the beautiful Caswell Sculpture Garden in Troutdale to host outdoor weddings from May until September. 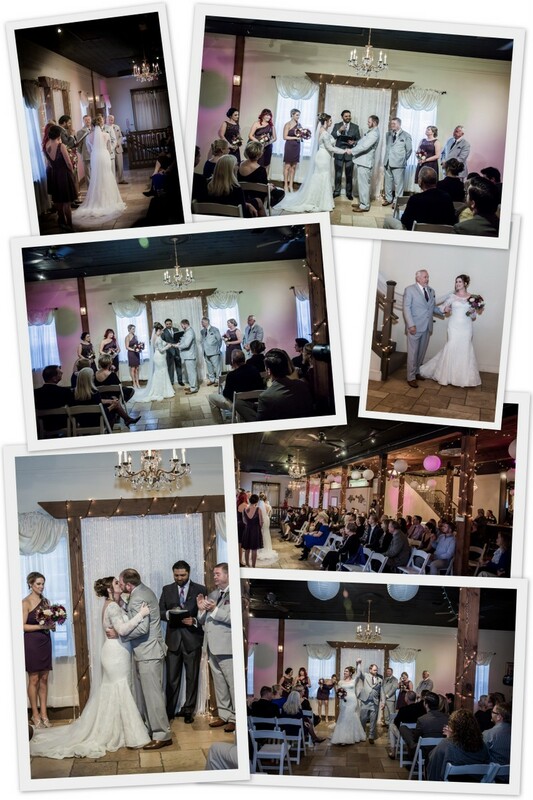 Your event will be coordinated by The Troutdale House friendly staff to make sure your day is perfect. If you are interested in this other option, please contact Laura at 503.481.9449 for a tour or click on the photos below for more information. 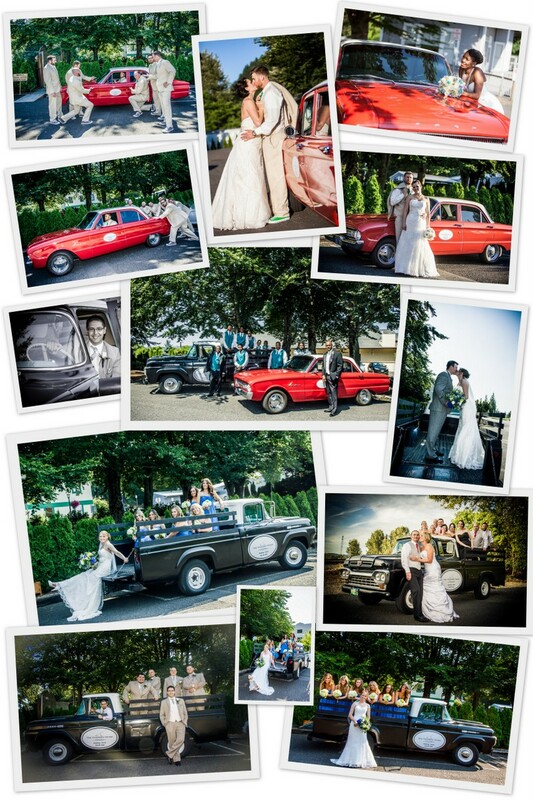 Please enjoy a slideshow of some amazing weddings from last season. Fireside Media, Glitch Films and Tyler Cornelison videos showcasing The Troutdale House and townhome rentals. Say I do! 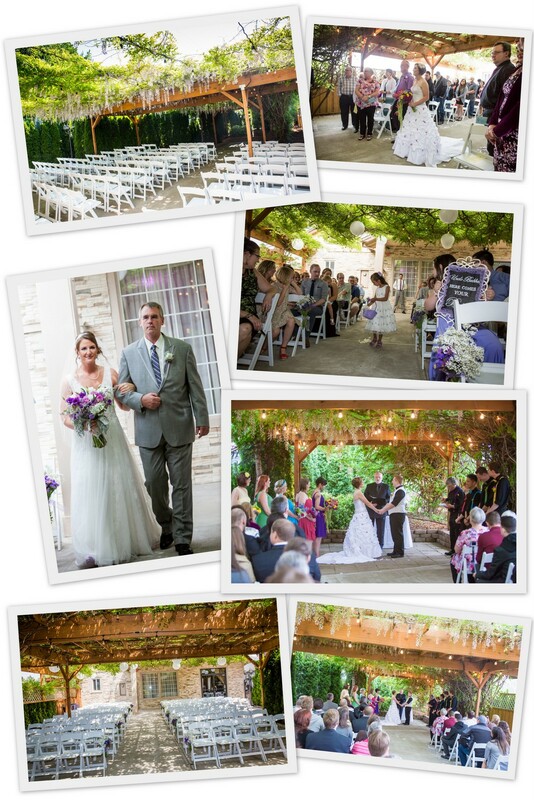 at your choice of many ceremony locations and use the entire property for your reception. 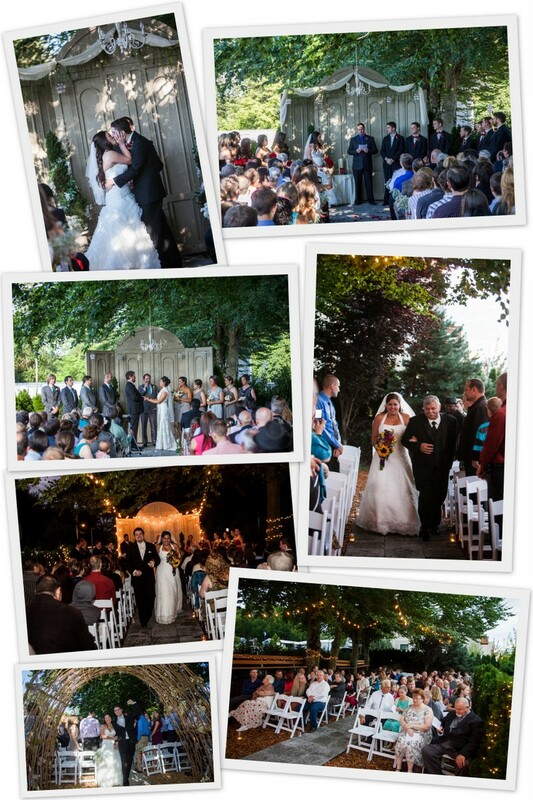 The Troutdale House by the Sandy River can accommodate 200 guests for your event or formal dining. It can be configured for ceremony, reception or both. Please review our maximum seating capacity matrix below to assist you with your planning. The Bridal Park ceremony location has the same feel of our classic bride's lounge, but it is located outdoors underneath the trees. This location can accommodate up to 200 guests for ceremony and can be configured in two directions - facing the doors or the wood arch. Video tour of our Bridal Park in late June. Wisteria Courtyard has beautiful wood arbors that are covered with wisteria and overhead lights. 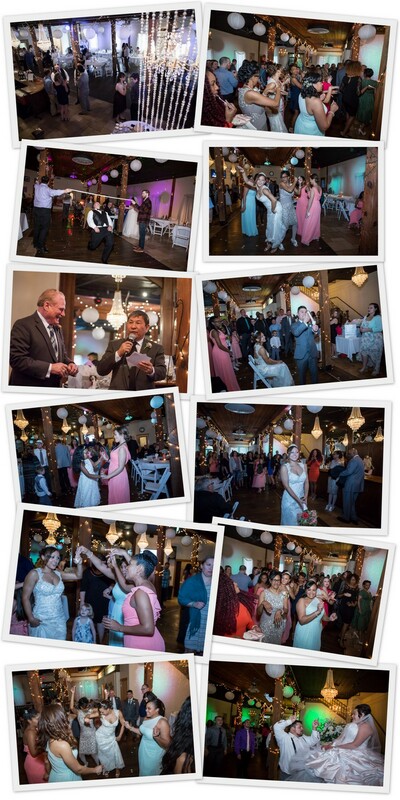 This location can accommodate up to 200 guests for ceremony and up to 100 guests for additional outdoor reception seating using 10 round tables. Video tour of our Wisteria Courtyard in bloom between last week in April and third week in May. 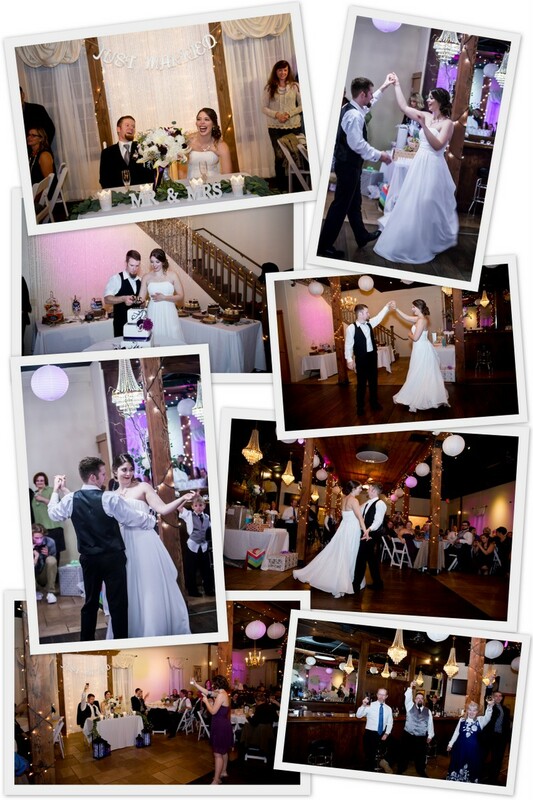 Our Enchanted Ballroom on the main floor can accommodate up to 200 guests for ceremony. Video tour of our Enchanted Ballroom ceremony seating. 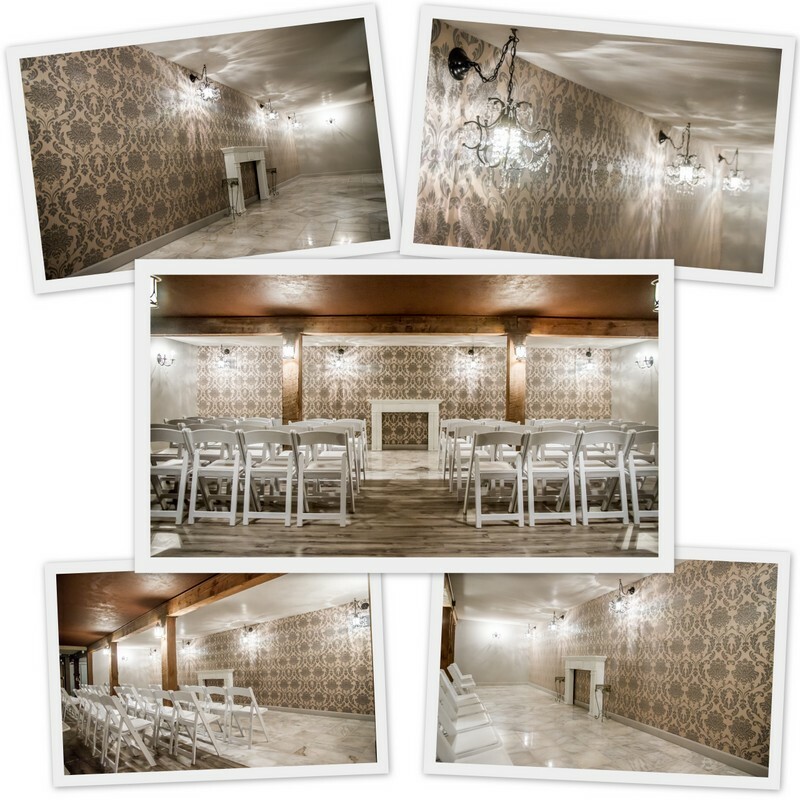 Video tour of our Enchanted Ballroom reception seating. 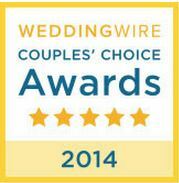 Our downstairs Wine Cellar is an intimate location for ceremonies or additional seating for reception. This location can accommodate 140 guests for ceremony. Video tour of our Wine Cellar ceremony seating. Video tour of our Wine Cellar reception seating. 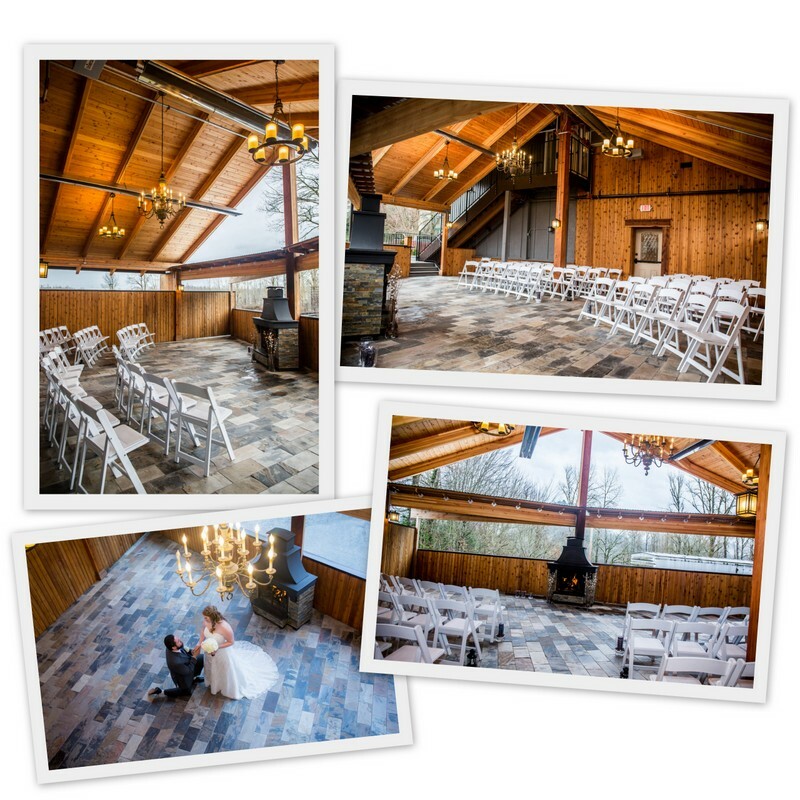 Our Rustic Lodge addition on the East wing of our venue will accomodate 100 guests for ceremony and will provide another ceremony option for fall, winter and spring weddings. 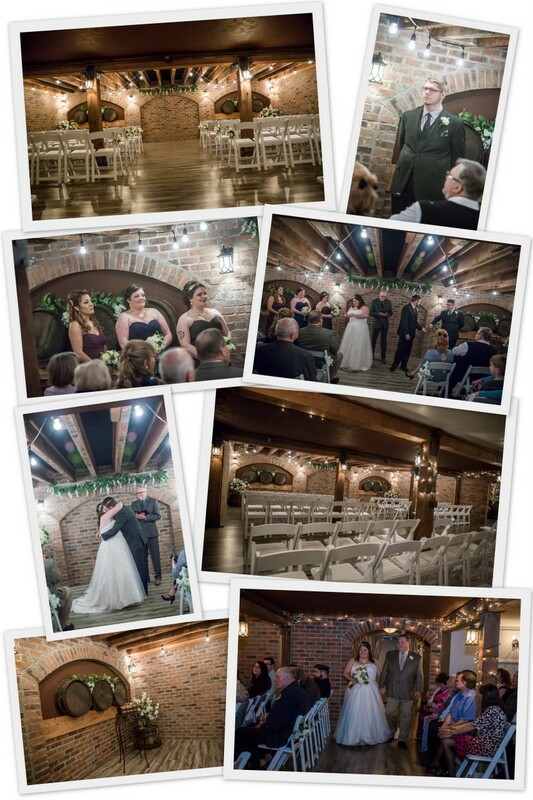 Our Victorian Room is located at the opposite end of the wine cellar and is available for small ceremonies or additional seating for reception. 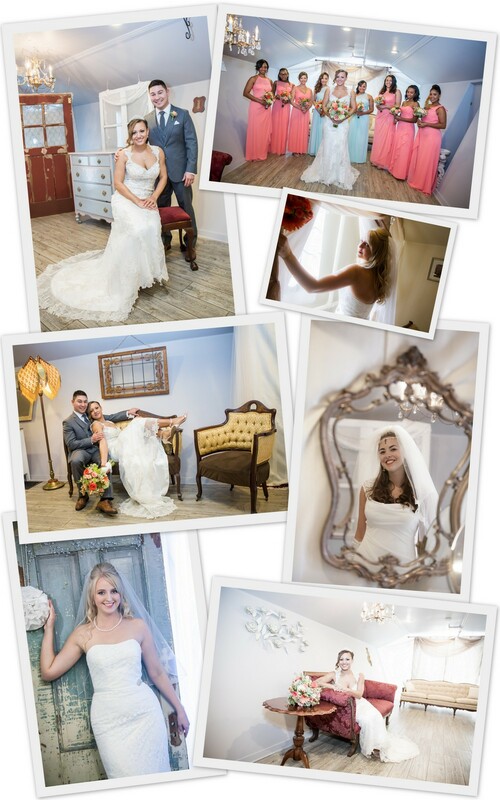 Our bride's dressing room and lounge is the best around! You and the girls will have lots of space to get ready. 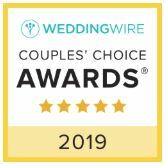 Plug in your hair curlers and dryers, do your makeup, throw your feet up on the couches and relax before the ceremony! Video tour of our bride's room and lounge. The groom and the guys have their room as well. 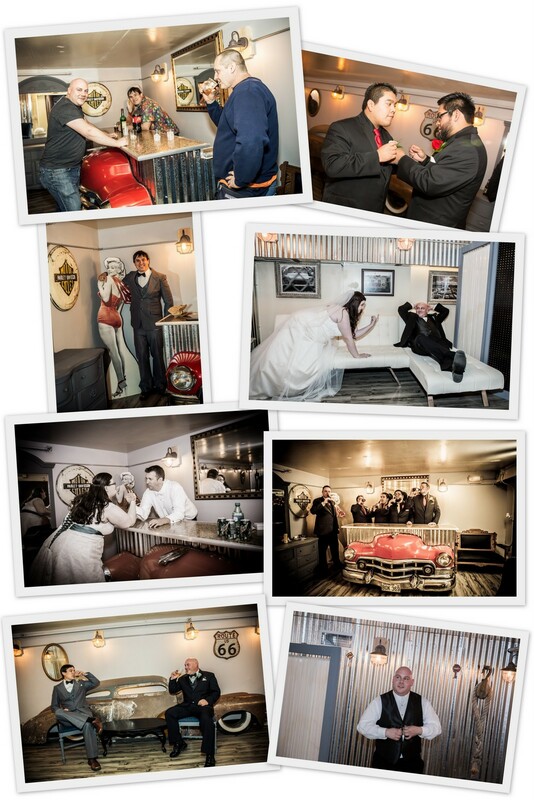 We offer a large groom's room to get ready or kick back. 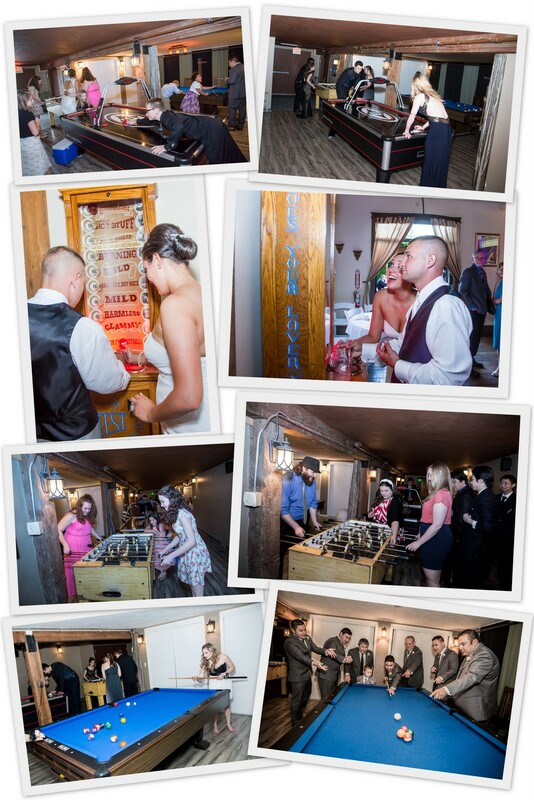 Or, they can play a few games of pool, foosball or air hockey in the game room while getting ready for the big day! Video tour of our groom's room. Everybody ready for some dancing? This is where your DJ will rock the house and some of the best dance floor memories will be made! You can also bring your own iPod, computer or CDs to play music through our sound system. Video tour of our main floor dance lights. As you can see, there's more seating capacity downstairs! While you are roaming around the basement looking at artwork and antiques, why not check out the second bar and have a drink? You and your guests can also enjoy a few games of pool and air hockey or get your team ready for a few foosball matches in our game room! Video tour of our game room. Kick back in the downstairs lounge or take some photos! Video tour of our downstairs seating and lounge. 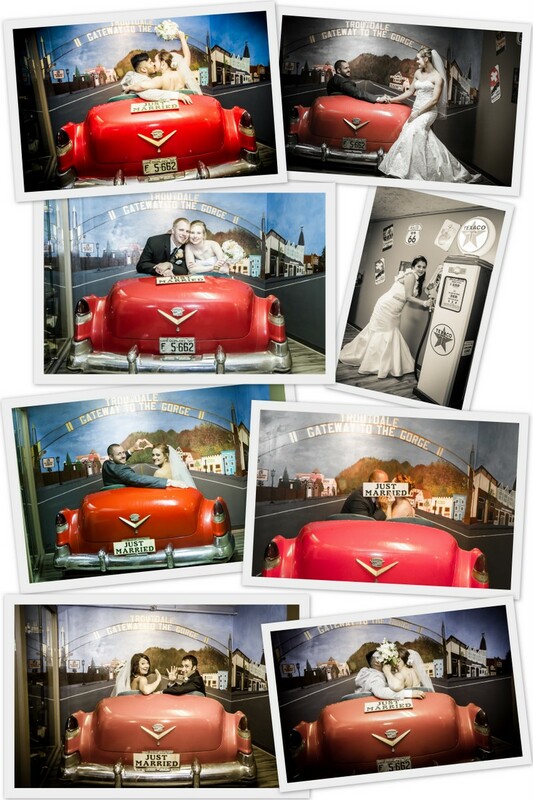 The 1950 Cadillac is perfect for a photobooth! We invite you to bring caterers or prepare your own food in our large kitchen. 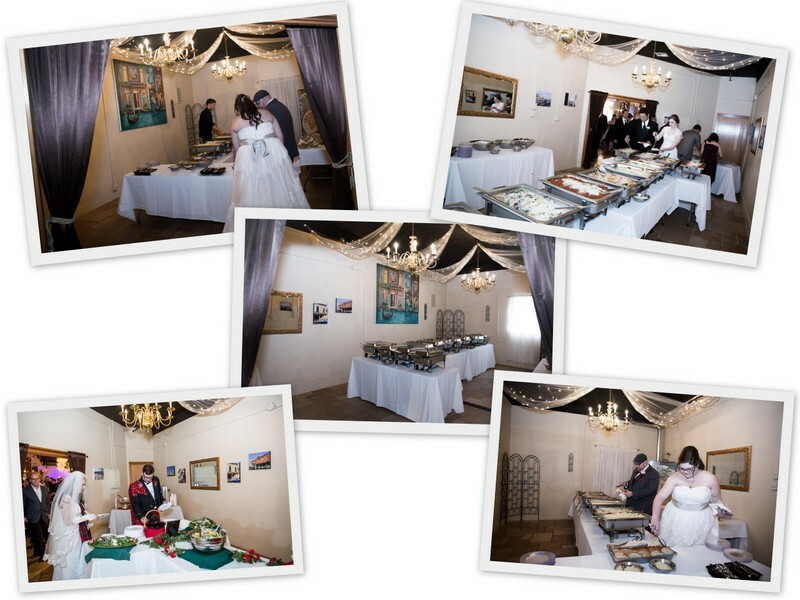 You can set up the food in the buffet room for your guests to enjoy. Video tour of our buffet room. Video tour of our kitchen. Our 1960 F100 truck and 1961 Falcon vehicles are ready for action photos! Let us know in advance if you'd like us to bring them out. 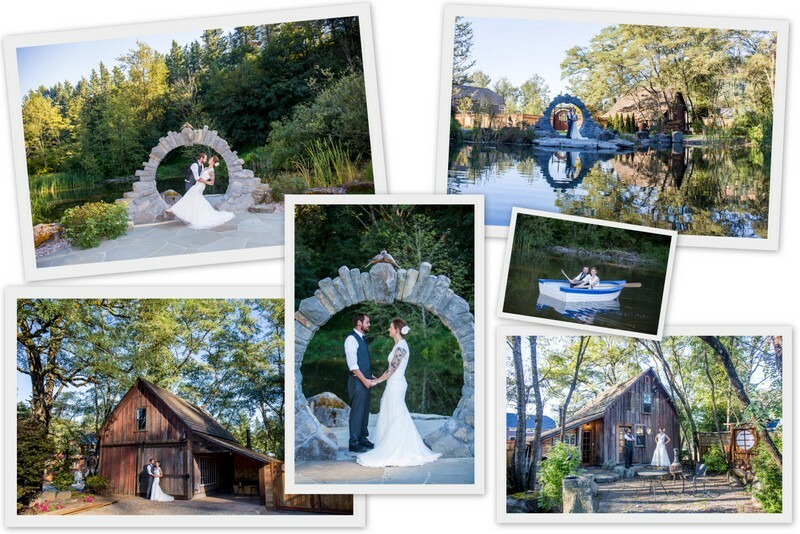 The Troutdale House is located near many beautiful locations with great photo opportunities. 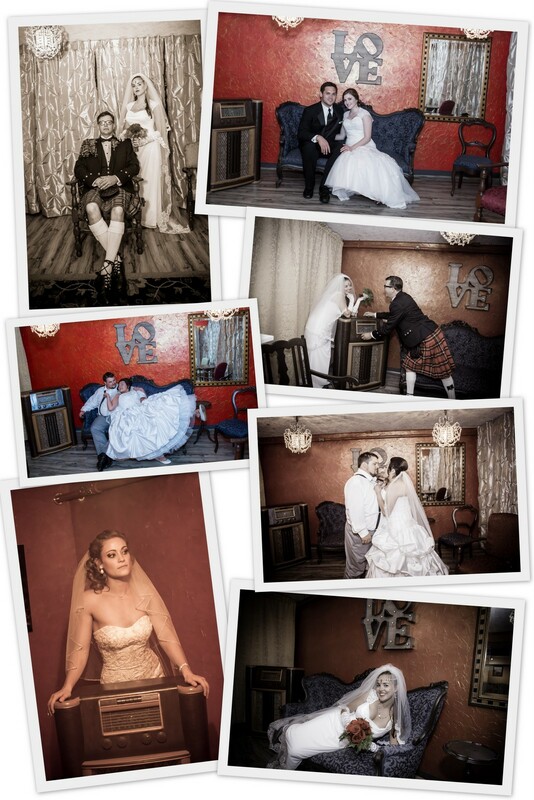 And, since you have the venue for 10 hours, you can venture off with your photographer to take some amazing photos.